In the Term 1 2014 school holidays at The Children's Bookshop, we are pleased to announce a range of events including visiting authors and artists, reading and writing workshops. We are very excited about the visit of our Artists in Residence, Peter Carnavas, Aleesah Darlison and Carla Moore. Peter will be running a course for children aged 8-12 focusing on illustrating picturebooks. Aleesah will be running a picture book course for the little ones, aged 5-7. And Carla Moore will help us celebrate William Shakespeare's 450th birthday with a drama based workshop for children based on Shakespeare's comedies for children aged 8-12. Contact bookshop staff for full details! Meet Publishing Legend Margaret Hamilton as she introduces us to her new picture book! 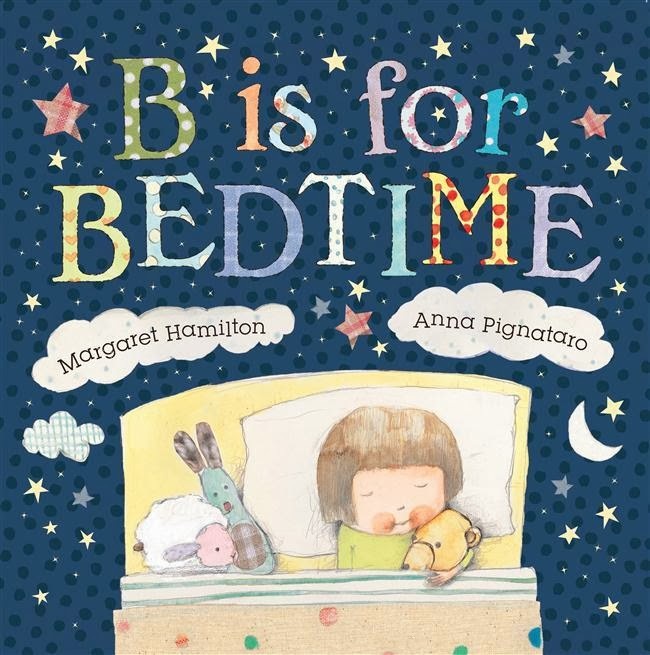 Beautifully narrated in soothing rhythmic verse, and with adorable illustrations by Anna Pignataro, B is for... Bedtime by Margaret Hamilton looks set to become a before-bed classic. Free but bookings are essential!